One of the problems with drinking locally is the distribution system in the U.S. Our three-tier distribution system requires producers to sell to distributors and these distributors to sell alcoholic beverages to retail stores and restaurants. This system is supposed to promote competition and provide a professional to find the best beverages for the consumer. What this really does is add costs and limit choices for the consumer. Some states allow self distribution by producers (like Colorado) but often times producers do not have the resources to fully distribute to meet demand. On the other hand, some producers choose to not be widely distributed. A brewer from my home state of Wisconsin supports this system. 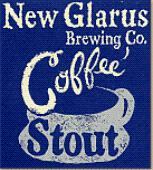 New Glarus Brewing Company is a small brewery run by Dan and Deb Carey in the little Swiss hamlet of New Glarus, WI. 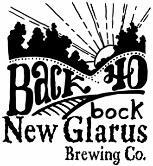 New Glarus is a cult producer in the beer industry. I've had the pleasure of touring the new brewing facilities in Wisconsin, but even more exciting was pouring beer with Dan at the Great American Beer Festival two years ago. New Glarus is the one brewery that all the other brewers line up to taste before the doors are open to the general public. The entire 4-hour session consisted of a line of people vying for a taste of Dan's brews. Apart from the quality, people line up to taste these beers because they can be had nowhere else besides Wisconsin. Beer lovers in Illinois, Iowa, Michigan and Minnesota all have to drive across the border into Wisconsin just to be able to buy these sought-after beers. If you don't live near the Wisconsin border, good luck finding yourself some! During the holidays, I am lucky enough to usually travel back to Wisconsin and indulge in my New Glarus fix. This year, however, my family drove to Colorado from Wisconsin and were kind enough to bring some recent New Glarus brews with them. For the past week I have been enjoying (and will be enjoying for a some time in the future) a sampling of what is taken for granted in the Land of Cheeseheads (Go Pack Go!). Just as it says on the side of their cases, Drink Indigenous!